Song of the day: Marty Rhone – "A Mean Pair Of Jeans"
I guess Marty had a bit of a ‘thing’ for denim. Either that, or with “A Mean Pair Of Jeans” he was singing about two women called Jean and he didn’t like either of them. 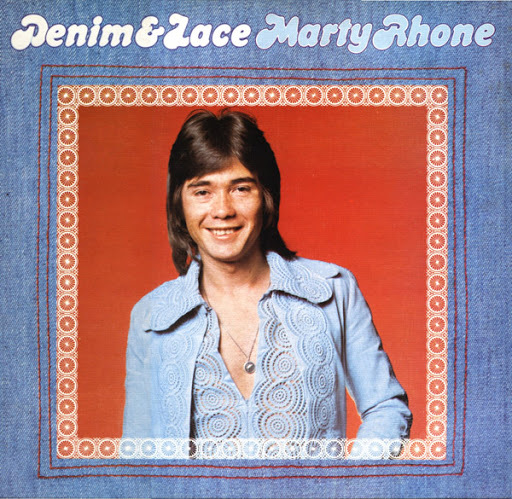 Song of the day: Marty Rhone – "Denim And Lace"
It took some time, but I finally found an Australian song from the 1970s that wasn’t written or produced by Harry Vanda and George Young. I’ve been pestering songs from the ’70s mercilessly these past few days, so for a little while at least I’ll do my best to find you some songs that aren’t from my favourite musical decade. You are currently browsing the archives for the Marty Rhone category.